You can read about how to use the designs on the project page. This set of machine embroidery designs is part of our Easter Freestanding Lace collection. It uses the Freestanding Crochet Lace technique. The designs will fit the Small hoop (4" x 4"). You can read abourt how to make this Easter basket on the project page. 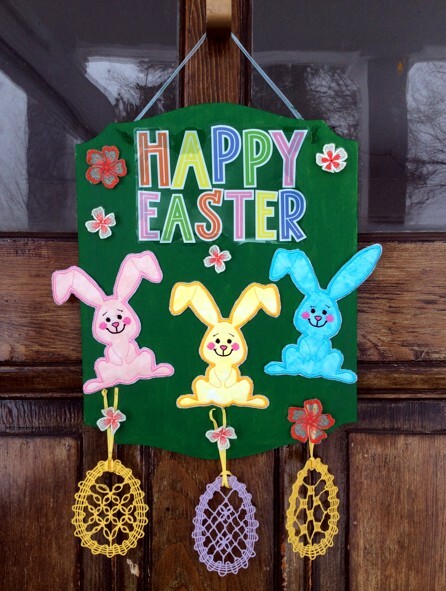 We also used the egg stitch-outs as embellishments on this handsome Easter quilt. You can read about how to sew the quilt on the project page.